Setting a 2020 Perspective Economic Agenda for India requires clarity about the framework within which economic policy choices have to be made. There is a wide global consensus today that democracy and competitive market economy provide that framework. Democracy is a system of governance by consent of the people. Democracy has become the trend, the accepted system of government globally, and it is spreading worldwide. Furthermore, devolved democracies better manage contradictions and conflicts arising out of a heterogeneous society and provide effective feedback through an independent press to enable corrective action by the government. It empowers people to question the authorities and make them accountable in an election. 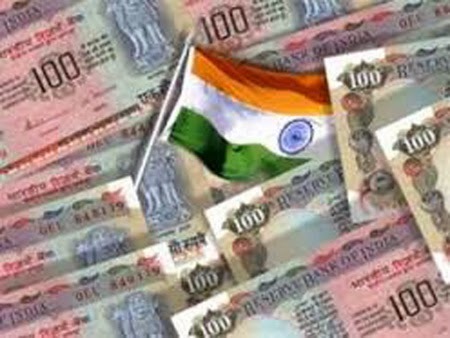 "The Indian financial system suffers from a hangover of cronyism and corruption that have brought the government budgets on the verge of bankruptcy"
Moreover, the comparative economic results in East and West Germany, North and South Korea, China before reform and China now, have conclusively proved that a competitive market system driven by incentives is superior to a coercive, state-controlled system, and that transparent democracy is a better system of governance than a closed dictatorship. With the disintegration of the USSR into 16 countries in 1991, the comparative economic development theory has changed its focus from a study of alternative systems to alternative governance models of democracy, market system and globalisation, that is, change of focus from dictatorship vs. democracy, and state ownership vs. competitive market, to harmonising freedom and choice, with regulation, and how much public sector and how much private, and how the emancipating and enabling power of democracy is to be balanced with the development of a profit-driven and competitive efficient market — what regulatory democratic institutions must do to promote the efficient allocation of resources with good, transparent and accountable governance. Governance norms, if properly enforced, can enable India to grow at 12 per cent a year by efficiently using the current 36 per cent rate of investment — by reducing the current incremental capital output ratio from 4.0 to 3.0. This implies a 36 divided by 3 per cent growth rate in GDP, or 12 per cent a year, which will mean a doubling of GDP every 72 divided by 12 years, or just six years, and that of per capita income doubling every seven years. This growth rate can take us to the league of the top three nations of the world, of the U.S., China and India, by 2020 and help overtake China in the next two decades thence. That should be the goal of governance for us today. India is not yet an economically developed nation. While it has demonstrated prowess in IT software, biotech and pharmaceuticals, accelerated its growth rate to 9 per cent a year to become the third largest nation in terms of GDP at PPP rates, it still has a backward agricultural sector hosting 62 per cent of the people of India. Farmers are committing suicide unable to repay their loans, the national unemployment rate is over 15 per cent of the adult labour force, and there is prevalence of child labour arising out of nearly 50 per cent of the children not making it to school beyond the fifth standard. The country has a deeply malfunctioning primary and secondary educational system, 300 million illiterates and 250 million people in dire poverty. India’s infrastructure is pathetic, with frequent electric power breakdowns even in metropolitan cities, dangerously unhealthy water supply in urban areas, galloping HIV infections, and gaping holes on the National Highways. To become a developed country, India’s GDP will have to grow at 12 per cent a year for at least a decade. Technically this is within India’s reach, since it would require the rate of investment to rise from the present 28 per cent of GDP to 36 per cent while productivity growth will have to ensure that the incremental output — capital ratio declines from the present 4.0 to 3.0. These are modest goals that can be attained by increased FDI and by use of IT software in domestic industry. But for that to happen, more vigorous market-centric economic reforms to dismantle the vestiges of the Soviet model in Indian planning, especially at the provincial level, are required. The Indian financial system also suffers from a hangover of cronyism and corruption that have brought government budgets to the verge of bankruptcy. This too needs fixing. India’s infrastructure requires about $150 billion to make it world-class, while the education system needs 6 per cent of GDP instead of 2.8 per cent today. But an open competitive market system can find these resources, provided the quality of governance and accountability is improved. Obviously, a second generation of reforms is necessary for all this. But reforms are urgently required to be carried out to accelerate India’s growth rate to 12 per cent a year. India has many advantages today for achieving a booming economy: a demographic dividend, an agriculture that has internationally the lowest yield in land and livestock-based products, and also at the lowest cost of production, a full 12 months a year of farm-friendly weather, a highly competitive skilled labour force and low wage rates at the national level, the advantages of which have already been proved to the world by the outsourcing phenomenon. We have a young population (average is 28 years compared to the 38 years of the U.S., and Japan’s 49 years) that can be the base for it by ushering in innovation in our production process. Since the worldview of economic development has now completely changed, economic development is no more thought of as capital-driven but as knowledge-driven. For application of knowledge, we need innovations. This means more original research, which needs more fresh young minds— the cream of the youth — to be imbued with learning and placed at the frontier of research. Instead, for decades since Independence we had been told that India’s demography was its main liability, that India’s population was growing too fast, and what India needed most was to control its population, even if by coercive methods. Globally, India today leads in the supply of youth — persons in the age group of 15 to 35 years — and this lead will last for another 40 years. We should not, therefore, squander this “natural resource”. We must, by a proper policy for the young, realise and harvest this demographic potential. China is the second largest world leader in having a young population today. But the youth population in that country will start shrinking from 2015, because of the lagged effect of the one-child policy. Japanese and European total populations are already fast ageing, and will start declining in absolute numbers from 2013. The U.S. will, however, hold a steady trend thanks to a liberal policy of immigration, especially from Mexico and the Philippines. But even then the U.S. will have a demographic shortage in skilled personnel. All developed countries will experience a demographic deficit. India will not, if we empower our youth with multiple intelligence. Our past liability, by a fortuitous turn of fate, has become our potential asset. Thus, India has now become, by unintended consequences, gifted with a young population. If we educate this youth to develop cognitive intelligence to become original thinkers, imbibe emotional intelligence to develop team spirit and a rational risk-taking attitude, inculcate moral intelligence to blend personal ambition with national goals, cultivate social intelligence to defend the rights of the weak, gender equality, the courage to fight injustice, and the spiritual intelligence to tap into the cosmic energy (Brahmand) that surrounds the earth, then we can develop a superior species of human being, an Indian youth who can be relied on to contribute to make India a global power within two decades. Only then, our demographic dividend will not be wasted. This has to be the core of the economic agenda for a new government in 2014. 0 Response to "An economic agenda for India 2020"